One of the most relevant companies in the building materials sector in Spain. We started our operations in the country in 2012 with the incorporation of the Corporación Noroeste, after an exchange of assets, being present in the cement, ready-mix, aggregates and mortar markets. The city of Madrid is the headquarters of our operations in Europe, Africa and Asia. 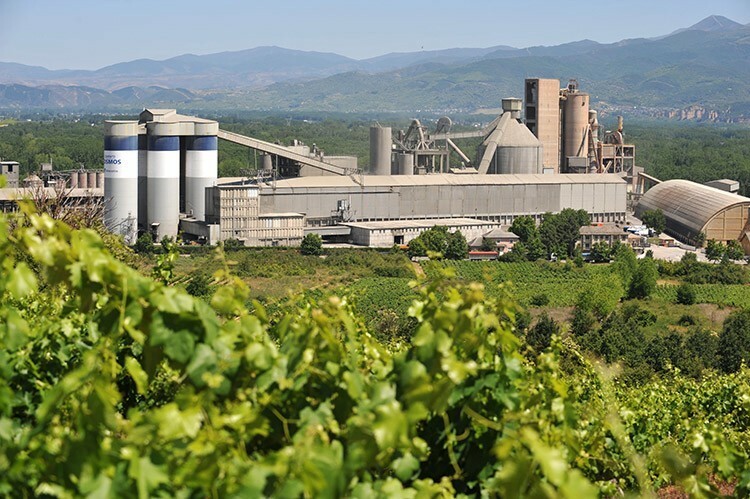 ​​We are more than 650 employees and we operate 4 cement plants, one in Galicia – Oural (Lugo) and, one in Castilla-León -​ Toral (León) – and two in Andalusia – Córdoba and Niebla–, with a total annual installed capacity of 3.2 million tons of cement per year; 4 grinding mills in Bobadilla (Málaga), Huelva, Tenerife and Arguineguin (Canary Islands)​; 77 ready-mix plants; 17 aggregate plants and 1 mortar plant in the regions of Andalusia, Castilla y León, Extremadura, Galicia and the Canary Islands. We have seven distribution centers in the north of Spain, most of them supplied by railway, where we transport bag and bulk cement. We have a complete portfolio of building materials in Spain, including the brands Cemento Cosmos and Cemento Teide, Prebetong Hormigones, Prebetong Áridos and the mortar Pulmor.